Learn about all things Automotive at ASIC 2018. 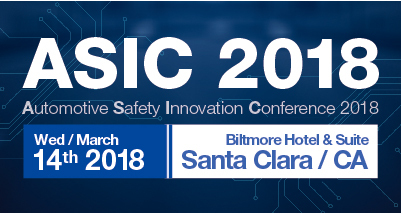 The Automotive Safety Innovative Conference 2018 will be on March 14th, at the Biltmore Hotel off 101 in Santa Clara. See asic2018.qrtkr.com/ for more information.